As we head toward the end of cooling season, it’s a good time to assess the performance of your air conditioner. It’s not necessarily something we think about every day of summer, but occasionally paying close attention to your system’s performance is key to the early detection of common problems such as refrigerant leaks. Your air conditioner’s refrigerant is constantly under high pressure, and the lines that contain that refrigerant degrade over time. If your system springs a leak, the leak will need to be patched and your refrigerant will need to be recharged. Depending on the extent of the leak, recharging your system can be an expensive repair. So have your system inspected regularly because refrigerant leaks will be more costly as time passes and more refrigerant escapes. This is why annual air conditioning tune-ups are so important — when inspections and pressure tests are routine, you can catch problems like refrigerant leaks at the earliest possible stage. 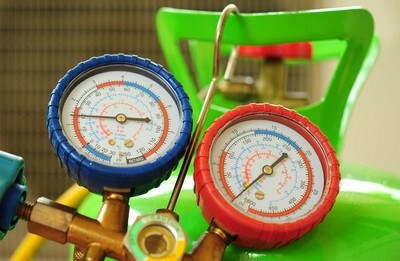 But if you know the signs, you may also be able to catch a refrigerant leak if you’re between tune-ups. Some refrigerant leaks can result from environmental damage or overdue maintenance, but even a well-maintained system will spring a leak on a long enough timeline. If your air conditioner starts leaking refrigerant due to old age, it may make financial sense to patch and recharge it just this once — but that’s your warning sign to replace the system by next season. Ideally, annual air conditioning tune-ups will help you anticipate these problems so that you can plan for replacement before your refrigerant lines are compromised. If you think you may have a refrigerant leak, or if you urgently need a leak repaired, reach out to your local One Hour Heating & Air Conditioning. Originally published at www.onehourheatandair.com on February 9, 2018.